This release also includes auto-pause, which pretty much does what the name says. 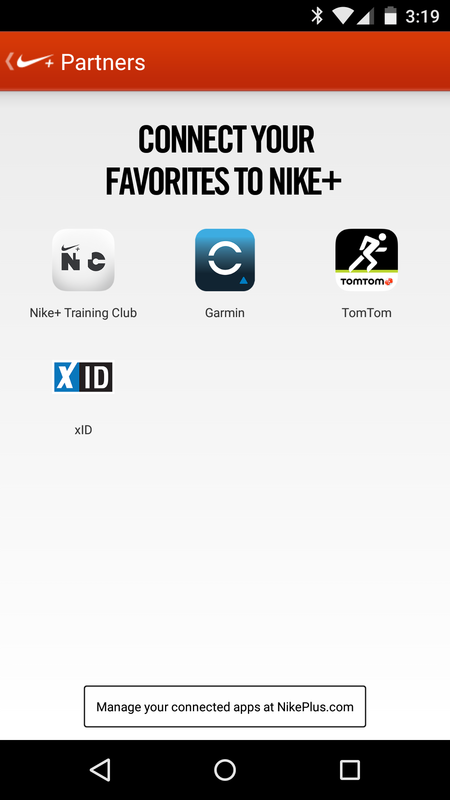 Your runs will automatically pause and resume when you stop moving. If you don't like it, you can toggle this option in the app's settings. Or you can keep running forever so that the feature never has to take effect. 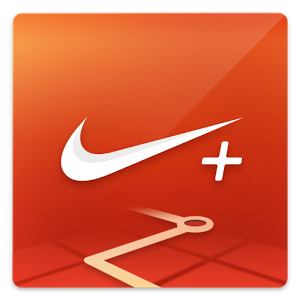 Nike+ Running now works seamlessly with Garmin and TomTom. Runs with our partners will automatically appear in your Activity History. 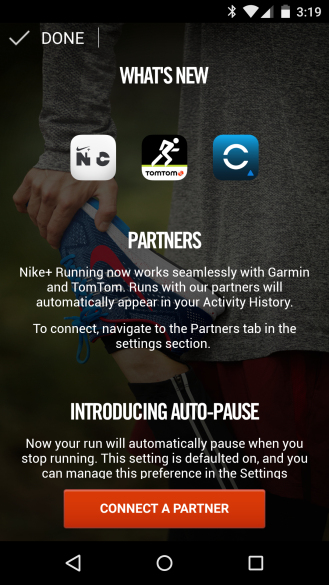 To connect, navigate to the Partners tab in settings. Now your runs automatically pause and resume when you do. Manage this preference in the settings section.